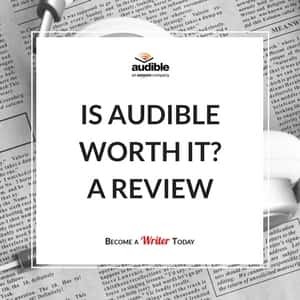 Audible Review: Is It Worth It? Don't have time to read your favorite books? Do you wonder if listening to audio books through Audible is worth it? A couple of years ago, I questioned the value of audio books. Well, listening to an audio book on a device felt like cheating on a real book. I was also skeptical about being able to get into something that an actor narrates. I saw audio books as expensive distractions from the written word. A little while ago, I took out a 30-day Audible trial and I picked my first free book to give this service a try. Audible is an Amazon company that produces and sells hundreds of thousands of popular audio books and Audible Original titles. In this 2019 Audible review, I will explain how much it costs and explain if an Audible membership is worth it. First, you take out a free trial of Audible and get a free audiobook. This could be one of the classics or even an Audible originals. At the end of your trial, you can buy a monthly subscription of Audible. You need to sign up for the membership using your Amazon account. Each month, Audible awards you with one credit. You can use this credit to purchase Audible audio books in different categories including technology, fashion, romance, social media, ads, etc. If you want to buy more books, you can buy more Audible credits or pay per audio book. Interestingly, a member can download two of six Audible Originals on the first Friday of every month. They do not cost any credits. You can keep these Audible Originals forever. You own all Audible audio books in your library even if you cancel your subscription. You can listen to Audible audio books anywhere using apps for your phone, Windows or Mac computer or Alexa device. You can get Audible for a 30 day free trial and claim one free audiobook. You need to add credit card details to start the free trial though. After your Audible 30-day trial expires, it costs $14.95 per month, but you can cancel your subscription at anytime. For your monthly subscription fee, you get one credit a month that you can use to buy and keep any audio book. This is the gold monthly plan. If you opt for the gold annual plan, you pay $149.50 per year, for which you get 12 credits per year. A platinum monthly subscription fee is $22.95 per month which gets you 2 credits per month, while you pay $229.50 per year for the Platinum annual plan that comes with 24 credits. The Audible Channels plan costs $4.95 per month with no credits. If you are an Amazon Prime member, however, you can use Audible for no extra cost. The limit when using Amazon Prime membership to access your Audible account is that you get access to a rotating collection of 50+ books. You can also buy additional Audible credits each month. If you’re a member of Audible and spend your credits each month, you will save money on audio books quite quickly. You can buy individual audio books which costs anywhere between $10 and $25. For example, The Subtle Art of Not Giving a F*ck by Mark Manson is currently an Audible best-seller, and it costs $23.95, at the time of writing. However, a credit costs approximately $14.95. That means you can save $9. Similarly, if you plan on listening to more than one audio book, a monthly subscription of this audiobook service is more cost-effective. Audible also offers member-only deals whereby you can save up to 60% on the cost of an audio book. In the past, I also bought individual audio book off the Apple iTunes store. This worked out fine at the time, but if you listen to at least one audio book a month it's cheaper to take out a subscription. For example, that same Mark Manson audio book costs $22.95 on iTunes at the time of writing this Audible review. The Audible app is available on phones, tablets and desktops. You can download Audible for both your android and iOS devices. I use this app mostly on my Apple iPhone, and because my phone is always with me, I can listen to Audible audio books while commuting, during my gym session or when out for a run. More recently, I've started listening to Audible audiobooks using Alexa. In other words, I can read and do something else at the same time. 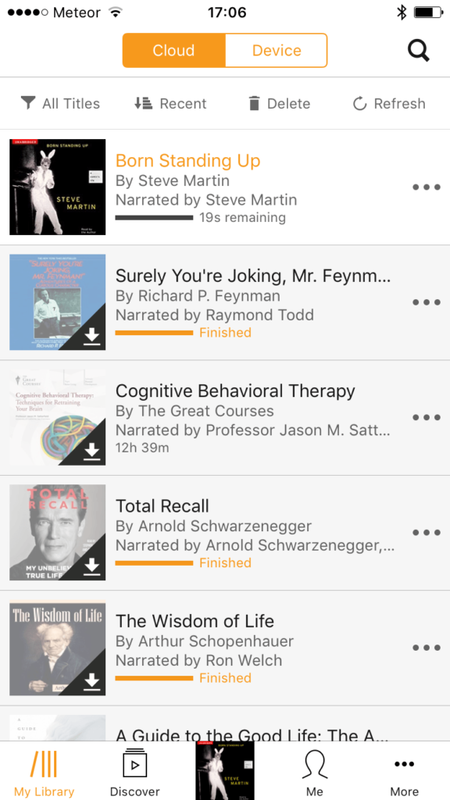 The Audible app makes it easier for me to spend more time reading and finishing great titles. Even if you have an Android smartphone or tablet, the Audible app works smoothly. I particularly like that you can slow down or speed up the play-speed of each audio book. For readers (or listeners) who want to immerse themselves in a story when listening to audiobooks, this is a welcome feature. Typically, I listen to my audio books at 1.25 times the normal playback speed. Any faster overwhelms me, but if you want to, you can listen to Audible audio books three times faster than normal. So, how much is Audible? Well, you can buy titles individually on Audible or pay a monthly fee. 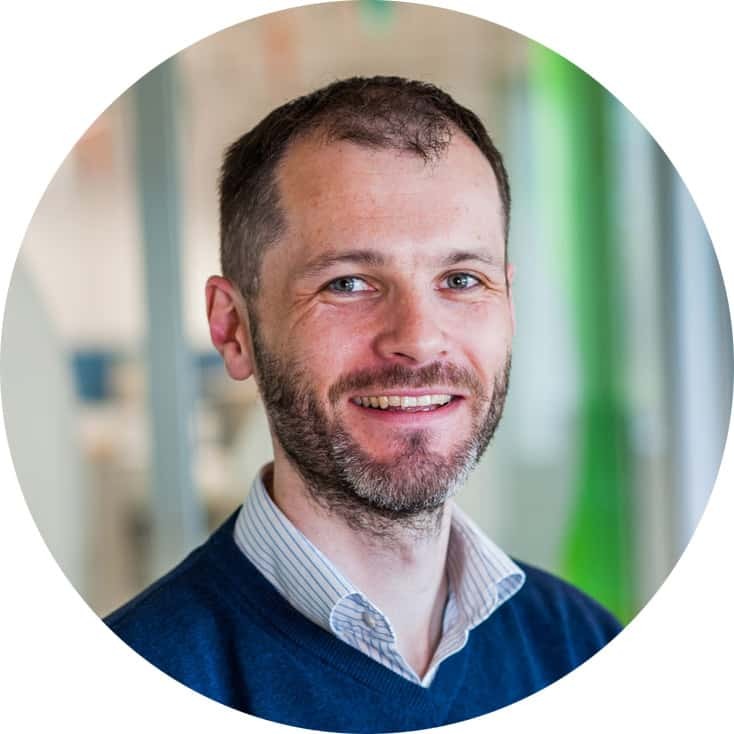 As I'm based in Ireland, I pay Audible just over EUR10 each month for a credit. I can use this credit to buy any audio book on Audible. Typically, it works out cheaper for me to buy membership credits as some audiobooks cost upwards of EUR20/USD20. Audible also regularly offer promotions and deals for members (who pay a recurring membership fee) whereby you can pick up classics for as little as 99 cents. Tip: Only use your Audible credits for books that have a list of price of more than EUR10/USD15. If you use your credits to buy an Audible audio story costing less than EUR10/USD15, you're not getting the most value for money as your credit is worth more than the audiobook. My favourite Audible feature is a clever technology known as Whispersync For Voice. I use Audible for listening to audiobooks while out for a walk or run using the iPhone app. Later that night when I pick up my Kindle Fire, it automatically finds my place in the book in question so I can continue reading. Then, the next morning when I open Audible before my commute, it resumes narrating from where I stopped reading on my Kindle Fire the night before. I love Audible for this seemingly simple, yet awesome feature. Firstly, the book must be available on Kindle and Audible. Thirdly, both your Amazon account and Audible account must be in the same region e.g. Whispersync won't work if you buy a book off the UK Amazon store and an audiobook off the US Audible store.. If you're unsure about an Amazon Audible membership, you can subscribe to the service for the 30 day free trial and get one free audiobook. I browsed the audiobook user reviews and downloaded the audio version of Thank You Economy by Gary Vaynerchuk and Accidental Genius by Mark Levy for free. Then, I spent the next 30 days listening to these books to figure out if this audiobook service was worth it. Like Grammarly, if you don't like the audiobook service, after 30 days you can cancel your membership and keep your free audiobook. There is no need to pay any membership fee to experience the service. If you're wondering, can Audible books be returned, the answer is yes! A while ago, I contacted Audible about a technical problem I was having with my device. While chatting to an Audible rep, I mentioned I didn't like an audiobook I'd bought a few months previously. Audible refunded me the cost of the book, no questions asked. The rep explained Audible has a Great Listens Guarantee whereby they will return any book you bought over the past 365 days if you don't like it. There are over 200,000 audiobooks on Audible, many of which are classics or bestsellers. Recently, I've listened to the audiobooks Writing Down the Bones by Natalie Goldberg and On Writing by Stephen King. These are just two examples of where the author in question is also the narrator of his or her book. Whereas before I was skeptical reading this way, now I believe there's something intimate about having the author of a book read it to you the way he or she intends. In other cases, professional actors narrate popular books and classics. One particular standout is Heart of Darkness by Joseph Conrad. Kenneth Branagh's is the narrator of this book. His interpretation of Conrad's classic sent shivers up my spine. Before updating this Audible review, I cancelled my Audible.co.uk subscription and took out an Audible.com (US) subscription. I did this because I buy Kindle books off the US store and Whispersync only works if buy both the book and audiobook from the same regional Amazon and Audible stores. When I contacted the UK Audible support to cancel, they said I could pause my subscription for several months. I explained my situation. They said not to worry and that “Audible books are yours to keep” even after cancelling. Today, I subscribe to Audible.com. So, Is Audible Worth It? Paying a monthly fee to get Audible membership is worth it if you listen to audio on the go and love reading. I often buy the ebook and audiobook, a habit that proves expensive, but I like having versions I can annotate and highlight. For me, it simplifies reading and writing. You can mark your place in an audiobook and make notes using the Audible app. However, this isn't as efficient as having a copy of the book that you can flick through on a screen or a tablet. I also haven't found a way of lending audiobooks to friends or colleagues and the audiobook recommendation system in the app isn't as developed as the one on the Amazon. I've been an Audible subscriber since 2014. I've listened to dozens of fiction and non-fiction books over the past years on Audible using my Apple iPhone. Audible is my favourite way of making the most of my time while commuting, exercising and travelling. If you want to take out an Audible 30-day trial, you get a free book. Want more recommendations after reading my Audible review? Where are my audiobooks stored? Audible stores your books in the cloud. You can download them to your mobile or computer and listen to them while offline. Can I have multiple users on one account? Can my family use it? You can activate three Audible mobile apps at once. So in theory, you could use one device while a family member uses a second. How many free books do I get when I sign up? Can I give Audible as a gift for the year? Yes. You can give Audible as a gift for one, three, six or 12 months via the gift membership section of their site. Can you exchange a free credit book after reading it for another? Audible has a great listens guarantee. If you don’t like the book, you can return it and get your credit back. I returned two books without issue. Yes, I had five credits in my account at one point. However, you can’t have more than six. Are the audible books cheaper than the hard copies or other copies? For the most part, yes. At time of writing, the audiobook of Michelle Obama’s Becoming costs $35.71 to buy, while the hardback costs $17.24. However, an Audible subscription costs $14.99 for one month meaning you can buy it at a discount. Can I listen to a book more than once? Yes, once you buy a book, you can re-download and re-listen to it at any time. Do you have more questions about this 2019 Audible review? Ask me below. Success! Now check your email to confirm your subscription and get the list of great books. Audible is a great service for heavy readers. The wide selection of books and affordable pricing will help you read more while spending less. Hey Bryan, you’ve convinced me to give audiobooks a try. I use Scribd, the ‘Netflix for books’ service. All you can read for $8.99 a month. This includes lots of free audiobooks, plus one credit for a ‘premium’ audiobook, every month. Which I’ve never used. However – I’ve been thinking about trying audiobooks to give my eyes a break, and also I’ve noticed there are several books I want which are on Scribd ONLY as audiobooks, so if I want to read them I need to listen to them. Maybe this will help me get through more books like you do with Audible. Glad to hear it Emily. I love audiobooks, I was talking to friend recently about how they are a great way to read more books, more often – hence the post. 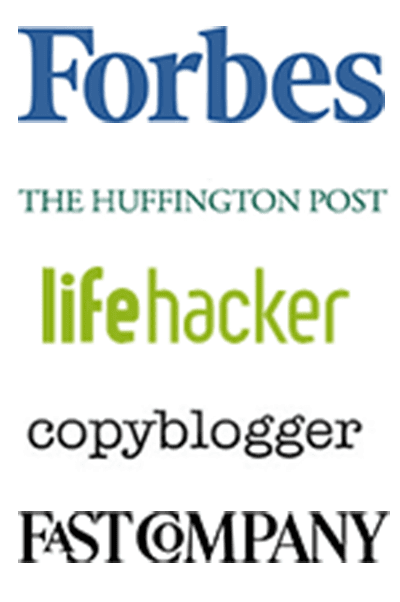 I haven’t used Scribd myself but go with what works for you! I love audible, have been a convert for a good few years now. Would love to know what favourites people have? I’ve found that the narration can make a huge difference. Mine are the Rivers of London books, The Woodcutter by Reginald Hill (amazing! ), Oryx and Crake by Margaret Atwood, and more recently the Kevin Herne Iron Druid series. Oh, and the Terry Pratchetts read by Stephen Briggs. I’m listening to Orx and Crake at the moment. It’s an unusual book so far. This is really a great overview on the importance of Audible. I’ve heard about it in the past but never took the time to really check it out. However, i also love listening to audio books and will have to look more into Audible. I love audiobooks. I listen to at least two a month while commuting or in the gym. Let me know how the service goes for you. Hi Bryan. Audiobooks are a must for me. Rather than sitting down to read a book (which I still enjoy sometimes), I can be out and about and active while learning. There are times when I am distracted and miss some parts of an audiobook but I usually catch the most important parts. If needed, I can go back or I can listen to the book again whenever I want a refresher. I’m a big fan of audiobooks. I listen to them in the car or while out running. They’re becoming more popular too. Always nice to meet another Irish person online James! This says you get two free books from the beginning but I only got one! Any update on the number of books you get or if this is a glitch? Looks like they’ve changed it to one since I wrote the review. Have you ever thought about getting a library card? Most libraries offer eBooks and eAudiobooks for free! Thank you so much for the very helpful review and tips. I’ve been wanting to give audiobooks a try since forever and now I’m certainly convinced. Btw, Amazon.ca gives a 90-day free trial, which is great. A few other benefits of Audible I haven’t seen mentioned. 1. Deal of the Day. Every day, Audible sends an email out with an offer (usually $2.95-$4.95) for an audio book. I’ve gotten many excellent “extra” books this way–at least 12 per year. The true cost, then, for me is about $8.00 per audio book. 2. Regular sales on audio books. Two books for one credit is quite common. 3. Some freebies–short stories, podcasts 4. Easy to share in family. My wife downloaded Audible app to her phone, logs in with my password, and she can listen as well. 5. You get the audiobooks the day they are released. I use my local library for audiobooks as well, but anything new and popular has a long waiting list. Audible has a wait time of about 10 seconds. This is incredibly amazing. So this is what I have been missing without even knowing it. I know Audible and even have an account with them but I haven’t taken time to check some of these things you listed here. Audible has “dumbed down” their software, replacing useful information — especially about either existing or potential links between your audiobooks and Kindle books — with completely unnecessary big pictures of the books’ covers. As if we don’t know how to read a list of books and need a picture. What? Does Audible think its listeners are children? Incredibly annoyed and will be leaving feedback everywhere I can find on the internet. Good point, Audible is a great service for the visually impaired. Thanks for this information. I LOVE audiobooks and have been wondering about audible for awhile now. I typically get my books from the library, but run into the issue of either they don’t have all the books in a series in audible form or have to wait for a book to become available. I do have a few questions, firstly can you save up your monthly credits and secondly where are the books saved (i.e. on your device, in the cloud, on the website)? Thank you in advance for your help. Yes indeed you can. I stocked up 5 or 6 credits at one point. They expire after a year or so if I remember correctly. This never happened to me. Honestly, this sounds like a horrible deal. I Just read two books in 4 days. This does me no good at roughly $15 a a month for only one book? Why isnt it like spotify where you get unlimited access to books and media? I am a bit outraged at the price. I can go to a library to rent a book/audiobook or buy a book at an equal or lesser value. I could go through an audiobook fast. Unlimited access as a subscriber and i’m sold. I pay less than this for all my media combined. You’re paying for the production values as well. Audiobooks cost more to make than ebooks or print books. Bryan, I am bored out of my mind at work and therefore have at times weeks that I have to fill 6-hours a day. I have been reading on my kindle but thinking audible might be less expensive? So my question is how long does the average book take to get through in hours and would you be able to use the credit to get a bunch of 99 cent books? I really need to fill time with an engaging task so I won’t go insane. It takes about 5 hours to listen to the average audiobook. You can adjust the playback speed to get through them faster. I don’t recommend using your credit for 99c cent books as the credit costs about USD15. Basically, you can download the audiobook to your phone or computer listen to it offline. Your library of audiobooks is always available in the cloud (Amazon’s servers) so you can download them to any device too. You can access your library from your phone, many Amazon devices and computer. It works a lot like Spotify or Google Pay. Well I thought , you pay for the subscription and be able to listen to any book online free for 30days. Then buy one with the credit. Guess I’m crazy cheap. I would also add that Netflix and most monthly subscription based apps are a problem for cultural industries nowadays because creators get pennies for work they have done for years and obliged big ressources. So why would they continue? For example, just for Netflix, I must watch dozens episodes and 1 or 2 movies a month for which I pay 11$ (Ca). It’s easy to calculate that the money they receive from me is not the actual worth of their work, even if we are hundreds to watch it. It applies to Spotify too. Therefore, during my binge watching/listening, I do not support my local artists and if I think about all the monthly subscriptions I pay for different types of content, I don’t really have money left for cultural activites that are not on those online platforms. I may be wrong here but I think we must show respect to the creators we buy from. . Artists have been trying to share their worries about it since the beginning and I think we should stop and think about it for a second. I have been using Audible for many years now. It’s recommendable for those who needed valuable audiobook. You are right, an audiobook is very reliable for all. Most people happen to use audiobook for convenience than reading books. Just know about Audibles 2 gotchas. You can only pause your account once a year. Unlimited pausing is just common sense. And 2, you lose any credits you have stored up when canceling, if you don’t want them to keep stacking 15 dollar credits up forever. I will buy a credit and cancel right after using it for every audiobook I want that would otherwise cost over 15 dollars, lower priced audiobooks can just be bought normally. I spent a fortune on audible books but found I was very impatient with the experience. Watching a drama acted v having it read to me seems to demand a reading speed (faster)versus conversational speed. I will try upping the speed but it will probably create babble. So disappointed because I can only fall asleep by reading and I thought this would provide the same soporific. Yep, I use Libby and Hoopla. You won’t find new releases straightaway, but if you aren’t looking for brand new books you can’t beat these free services through the library system! Audible doesn’t seem like a good deal to me at all. I like audiobooks, but I can get a lot for free books from our local library. I get a membership to Hoopla Digital and Libby for free. I also think it’s silly to say you are “awarded” a book credit each month when you are paying $14.95 a month. You aren’t “awarded” anything. You are simply agreeing to buy another book each month in perpetuity. The only way it is smart to pay for Audible is if you are ALREADY buying at least one audiobook a month AND you are paying more than $14.95 per book on average. And by the looks of this site, this entire review is biased towards getting you to sign up for Audible to get an affiliate commission. But as this is your site, I can pretty much guarantee this comment won’t see the light of day. By all means, use the library if that works for you. I joined Audible a few years before writing this review. I still use it today. 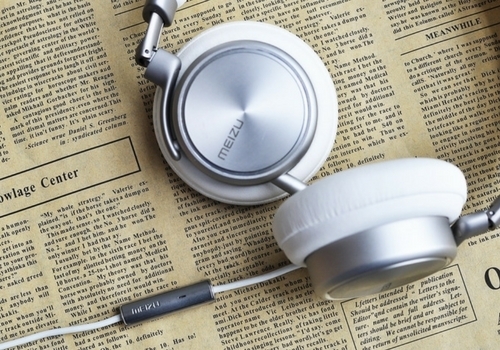 Do audio books cost more to make than movies? Or music? I can stream unlimited music or movies for about $10 a month. How about someone do something similar with audio books? Flat rate unlimited. I don’t care about “owning” the book (you never really own it anyway with Audible, you’re just granted rights to listen indefinitely, while it remains trapped in their app). Make an audiobook service like Netflix or Spotify and yoully have a winner. If you like audiobooks, you should try out OverDrive. You can check out audiobooks (and ebooks). The cool thing is, you can keep the audiobooks..i have multiple memberships to different libraries, so, if one library doesn’t have the book, the other may. Thank you for the info. Scribd is so awesome!!! Also like the usefulness of audiobook when you cant read. But Audible does not at all seem like a good deal comapred to a library. I would expect to pay a monthly fee like a memebership and then have access to a library of audiobooks. Mankind is going to go broke paying monthly fees for crap like this ehen libraries are already an established community plave of learning. Start supporting libraries and book sharing with your 14. Thats a better idea and advocates for sharing knowledge. What real great benefit do we gain as a society having to own personal prrivate copies of all the books we read? With life being short do y really want to read the same books you own over and over?. Read a book and give it back to library for someone else to use. They have audiobooks too.